These designer sterling silver & channel Set Swarovski Cream Pearls Swarovski AB Turquiose Bicone Crystals & Turquoise Round Beads. Traditionally Lovely Necklace Set Adorned with Authentic Swarovski Pearls with Crystals all are A Grade & high quality material are used to make this beautiful & gorgeous Necklace Sets. 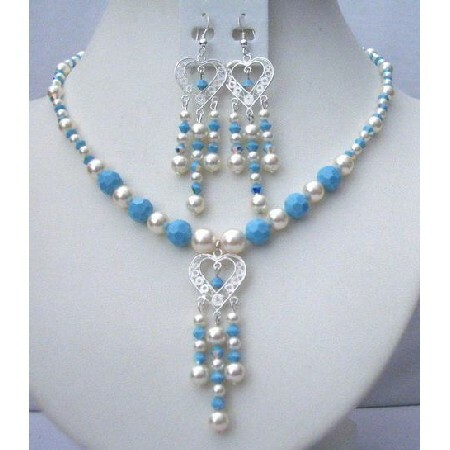 It has genuine Sterling Silver 92.5 Pendant & Earrings with Pearls Crystals beads dangling look awesome.